Take a Little Time for You! GBMC has a long history of caring for women. After all, The Hospital for the Women of Maryland, of Baltimore City, was one of the two hospitals that consolidated to form the health system patients know today. Not only does GBMC care for women as patients, but it recognizes the critical role women play in ensuring the health of the ones they love. With such a strong focus on caring for others and also managing the hustle and bustle of everyday life, it can be easy for a woman to lose sight of a very important person – herself! Knowing this, GBMC aspired to create a program to give women time to take a break and focus on their own wellbeing. This was the inspiration for Time for Me!, a free women’s health lecture series held each spring and fall. During the month-long series, one lecture is given per week. Each week’s topic is different and presented by GBMC’s own physicians to offer practical information and advice on the prevention, treatment and management of the most common health issues affecting women. Join us for one or more of our Spring 2014 lectures! SOS. Could I have IBS? What is Irritable Bowel Syndrome and how to know if you have it. The Heat is On! The hot facts about managing menopause. Bye, Bye Dry Eye! Learn the signs, symptoms and treatment for dry eye. Hold it! Taking control of Urinary Incontinence. All events are held in the Civiletti Conference Center in Physicians Pavilion East. Check-in will begin at 6:00 p.m., with the lecture beginning promptly at 6:30 p.m. and ending at approximately 8:00 p.m. There is no cost to participate, and all attendees will receive a special gift and a complimentary parking pass. We also encourage attendees to invite family and friends to attend! 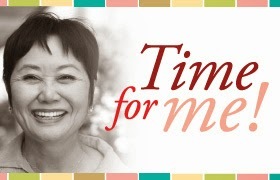 To register, visit www.gbmc.org/timeforme or call 443-849-GBMC (4262). For Jillian Verby, MD, the practice of medicine is not confined to the walls of a clinical exam room. 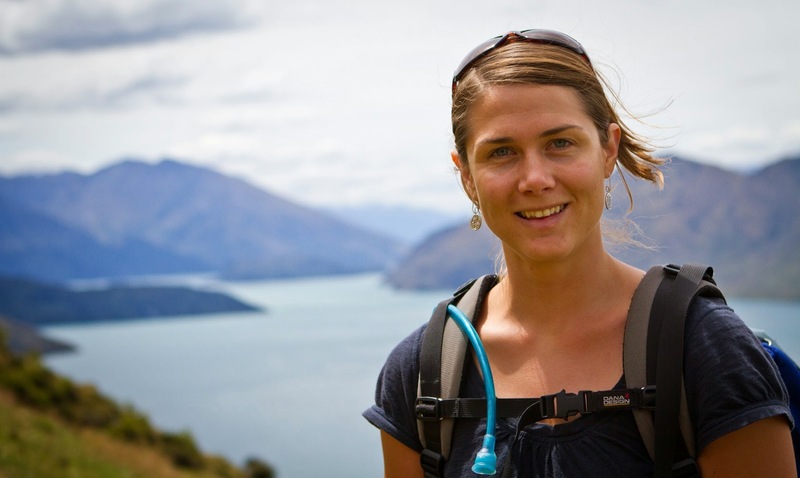 The GBMC primary care physician’s study of Wilderness Medicine has provided her the opportunity to work in exotic locations like a clinic in Montana’s Yellowstone National Park, a medical practice in rural New Zealand and in Cusco, Peru, where she conducted high altitude illness research. Wilderness Medicine is the practice of medicine in limited-resource environments. It encompasses topics such as altitude sickness, cold- and heat-related illness, trauma, expedition and disaster medicine, dive medicine, search and rescue efforts and wild animal attacks. “From activities like exploring deserts, climbing mountains and skiing to scuba diving, white-water rafting and windsurfing, people find themselves in situations where medical issues can and do occur,” Dr. Verby explains. A doctor trained in Wilderness Medicine may be the difference between life and death for a patient. “My interest in this field has been lifelong; I grew up hiking and camping, and I always knew I also wanted to become a physician,” says Dr. Verby, who is a member of the Family Care Associates practice at GBMC. During her residency, Dr. Verby learned of the Wilderness Medical Society and knew she had found her niche. She decided to specialize in the subject and now works closely with the Society to hone her skills and educate other doctors. Throughout the course of her training, Dr. Verby has lectured on topics such as heat illness, wilderness ophthalmology, sun exposure, water procurement and purification, knot tying and land navigation. 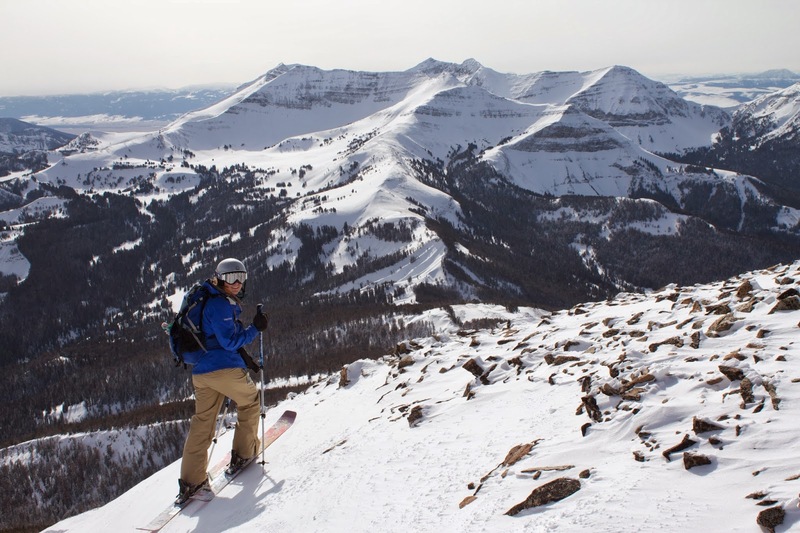 So what’s the benefit of having a primary care physician who has climbed 18,000 feet in Bolivia and surfed in Hawaii? “I think one of the advantages of this training is creative problem solving. I may not be discussing Wilderness Medicine with each patient, but the thought processes and skills learned are parallel,” says Dr. Verby. Her patients can consult with her when planning for or returning from locations with limited medical resources and benefit from her extensive regional knowledge. “An ounce of prevention is worth a pound of cure,” she notes, while adding that if patients return from vacations or expeditions with a medical issue — such as a fever or gastrointestinal upset — her experience with Wilderness Medicine is a great help as she works to find the best course of treatment. For additional information or to schedule an appointment, call 443-849-GBMC (4262) or visit www.gbmc.org/familycare. To view a full list of primary care physicians, visit www.gbmc.org/mydoctor. 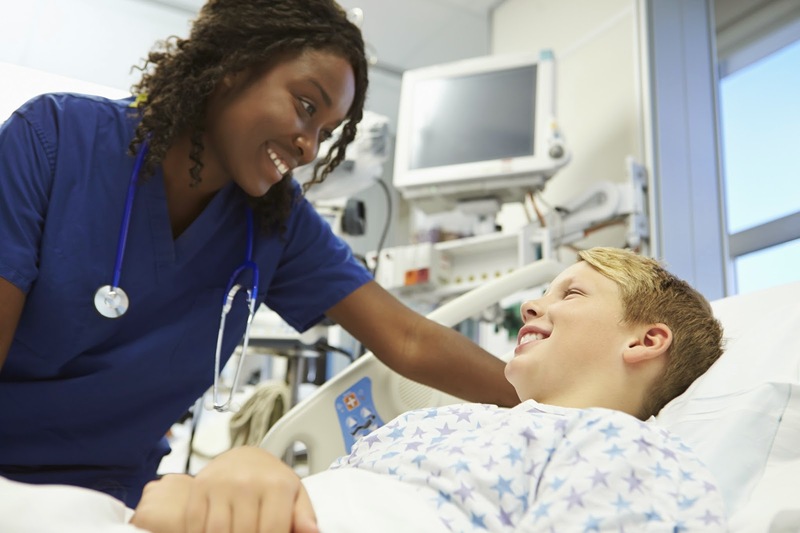 Did you know that Patient Safety Awareness Week is celebrated nationally every year from March 2 to 8? When it comes to patient safety, every member of GBMC’s family has a role to play. This was highlighted by a recent “good catch” that was made by a member of the Environmental Services (EVS) team. One day, as she completed her regular work, the EVS associate responsible for cleaning the Surgical Intensive Care Unit (SICU) glanced into one of the rooms and noticed a patient attempting to get out of a chair. Utilizing GBMC’s safe behaviors, the EVS staff member first paid attention to detail – noticing that a patient who was at a high risk for falling was trying to get out of a chair without assistance. She then communicated the situation clearly and directly by notifying the nursing staff immediately so they could assist. Working together as a team, the employee and the nursing staff intervened to prevent this patient from potentially being harmed by a fall. GBMC believes that patients have a right to know about the hospital’s efforts to provide safe and reliable care. Members of the community are welcome to visit the patient safety and quality webpage, www.gbmc.org/quality. The site tracks GBMC’s progress in various safety measures, from hand hygiene to surgical site infections, and is updated regularly. Having dense breast tissue can pose challenges when it comes to the imaging capabilities of a mammogram. Some early cancers may go undetected because they could be hidden behind dense tissue. Women with dense breast tissue are often called in for additional testing due to unclear results. However, a new Food and Drug Administration (FDA)-approved technology is enhancing mammography for women in this category. This groundbreaking tool is called tomosynthesis mammography, or 3-D mammography, and it is now oﬀered on GBMC’s campus through its imaging partner, Advanced Radiology. Some studies show that, when combined with digital 2-D technology, 3-D mammography can provide improved breast cancer detection. All women undergoing a standard mammogram may elect to have this added to their exam at an additional cost of $100, as insurances do not currently pay for the test. Besides skin cancer, breast cancer is the most common cancer affecting American women. According to the American Cancer Society (ACS), about 12 percent of women in the United States will develop invasive breast cancer at some point during their lives. Fortunately, thanks to improved technologies, like tomosynthesis mammography, and better education, breast cancers are being diagnosed earlier and more people are surviving it. All women are encouraged to become acquainted with screening recommendations that could help detect breast cancer in its earliest stages. Women age 20 and over: Individuals should become familiar with what their breasts usually look and feel like. If any changes are noticed, they should call their doctor. Self breast exams are also an option. Consult with your physician to determine if 3-D mammography might be a good option for you. Or, call Advanced Radiology at GBMC at 410-580-2300 to learn more about the technology. Preheat oven to 425 degrees F. Put a baking sheet on the middle rack and heat for 5 minutes. 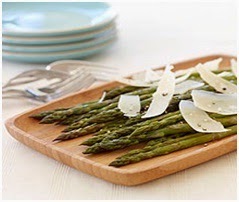 If the asparagus spears are especially thin, slice lengthwise into two equal pieces. If they’re larger (about ½ in thick), quarter them into four long segments. Place asparagus in a large bowl, drizzle with olive oil and toss to coat. Arrange asparagus onto a hot baking sheet in a single layer. Return to oven and cook for 15 to 20 minutes, tossing with a spatula halfway through, until tender and tips have started to blacken. Transfer to a serving platter, season with salt and pepper and drizzle with lemon juice. Sprinkle shaved Parmesan over top and serve immediately.